Fun interview with Graham and Mark from Startup Van Launched July 2015, broadcasting startup content like you’ve never seen it before! Contact: [email protected] . 1 min pitch. 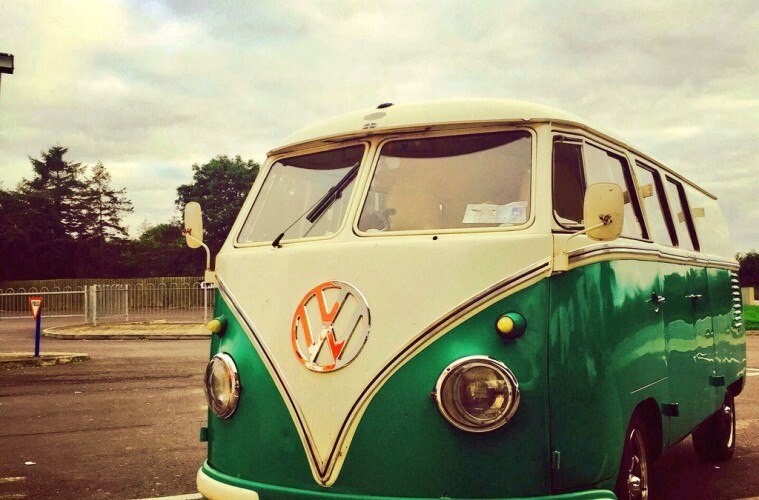 What is the Startup Van? The Startup Van itself is a startup aiming to become the go to broadcast channel for every startup and entrepreneur. Sharing tips, advice and problems startups face every day, but in a fun, entertaining and relaxed way. People will come and view our videos because it isn’t the usual “Give us your company pitch” interview. We ask the questions other startups want to hear. We feel poeple open up to us because we are also a startup experiencing the same things. How was last 12 months? Believe it or not we only launched 3 months ago, does it feel like year to you? Hope that’s not a bad thing 😉 All joking aside the last 3 months have been a complete whirlwind, but isn’t that why we love startups? Everything is moving so fast for us it can be difficult to keep on top of things, we have a structure now that we stick to and we are well organized, if we were to change anything we would have put this structure in place 3 months ago. The plan for 2016 is to have not only The Startup Van Ireland,but to have multiple locations all linking back into our website. So someone in a food startup in Waterford can see what someone in a food startup in Tel Aviv is going through. Building an intentional community. The hard question. Apart from the van, how are you different? We will be running “VC Days” where we will bring 3 startups to a VC and document the whole day, but release it in 2 minute videos. We are also different because we aren’t just Dublin based, there are fantastic startups based all across the country and we want to hear what they’re going through. Not only that, but we ourselves are a startup and are genuinely interested in what these entrepreneurs have to say, if they got refused government funding, turned down for a bank loan or having problems finding a VC. Whatever the issue is we want to know how they’re going to approach it and share this with entrepreneurs who will potentially come up against that hurdle. What unexpected answers have you got in your i’views? We got a completely unexpected answer from a startup about where they got funding…our jaws actually dropped! We are publishing a completely separate video interviewing the investor in question! Can’t wait for everyone to see it! From doing all your i’views, what common threads have you observed? What tips would you give to new startups? The common thread seems to be the solitary confinement a lot of startups are in, they all say they would like to learn from their peers. That’s where we come in. Our advice would be if you have a good idea, just go for it. Who would you love to interview? Any plans to achieve this? Elon Musk, the plan is to park The Startup Van outside his house and not move until he chats with us… we may not have thought this through. Is Ireland a good place for a startup? If so why? Good question, that’s what we’re here to find out off the real startups in Ireland. If it is we will shout it from the rooftops, if not we will address that situation and help fix it. As you don’t get any goverment funding, what is your plan for making money to put fuel in the van? At the moment we have a number of investors interested in the international business model but for the moment we’re bootstrapping.